Let’s help you plan this Valentine’s Day, as we round-up a few places where you can take your beau to savour curated menus in a cosy ambience. Even if you think that a big romantic gesture on the day of love might be passé, a customised date night will certainly not hurt! From decadent cakes to five-course meals, tucked away in cabanas by the poolside — choose what suits you the best. Thank us later! Park Hyatt Hyderabad has several options of curated dinners with your loved one, which will include a tempting spread of grills, starters and desserts. Savour their decadent red velvet and chocolate cakes at The Living Room, while Tre-Forni Bar & Restaurant will offer an exclusive dinner in a setting that complements the mood. The package will also include a pick-up in a luxurious car, a five-course meal in a private cabana and a bottle of wine — served with a private butler. Starts at Rs 2,500. 8 pm onwards. 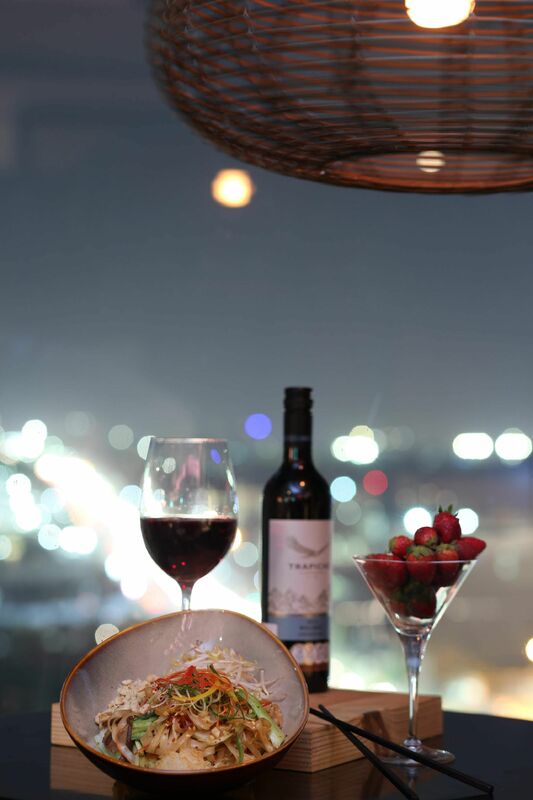 Treat your partner to some sinful desserts at Novotel Hyderabad Airport’s special menu. 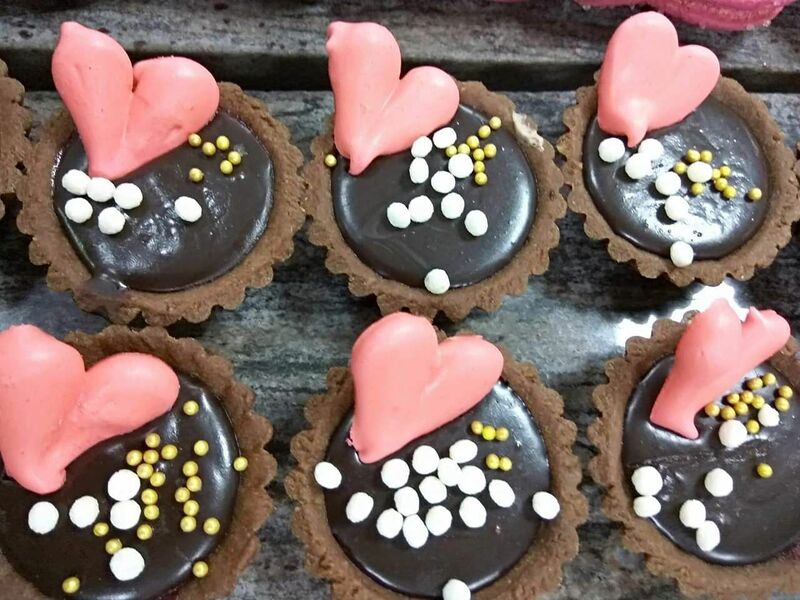 Apart from a Valentine’s Day curated buffet, dig into desserts like Framboise Creamuex with Chocolate Gelato and heart-shaped cupcakes and tarts. Pair your dishes with champagne and raise a toast to the special day. Starts from Rs 1,599. 7.30 pm onwards. At the fusion food heaven, Farzi Cafe, there will be a Valentine’s Day special menu, including Beet Raj Kachori and Crispy Okra, Kothmmbir Vadi, Raspberry Pachadi or Chilli Duck Kurchan Tacos. If you enjoy trying new dishes together, you can also pick from their newly launched menu — look out for Anar Popsicle, and Raw Mango Confit. Priced at Rs 2,995 per couple. Celebrate your special day with a lavish buffet featuring regional specialties from all corners of the country. That apart, you can also choose from the regular menu offering sushi and pizza, along with V-day special cocktails. Starts from `1,750. 7.30 pm onwards. Nothing beats a quiet conversation by the poolside! 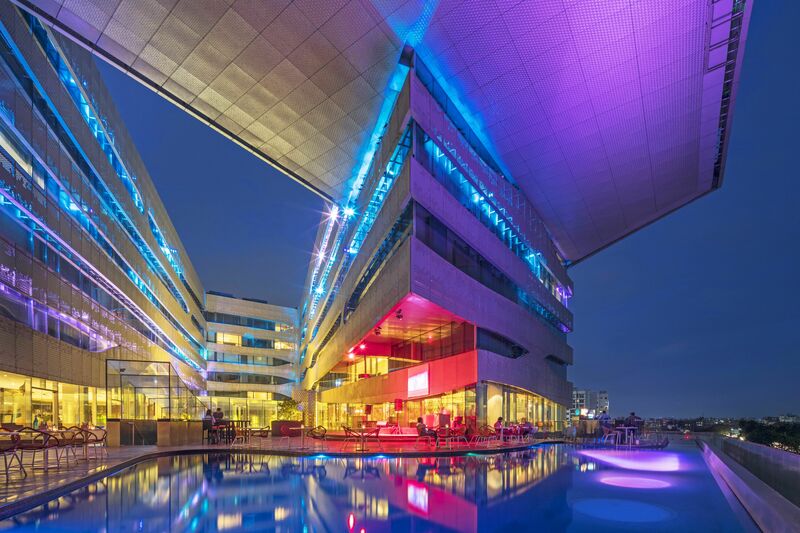 At Aqua, The Park, you can settle for the personalised venue at the table with a photo frame, champagne and customised food preference, served with a rose and a dessert. Not only that, there will be live music with a breathtaking view of Hussain Sagar at night.